Get inspired by our 2015 Chrysler 200 Limited Sedan shown off in Lunar White Tri-Coat Pearl. Powered by a Tigershark 2.4 Litre 4 Cylinder that offers 184hp while matched to a 9 Speed Automatic transmission. This Front Wheel Drive Limited will reward you with nearly 6.5L/100km on the open road. With precise steering, impressive acceleration, and excellent steadiness around turns, you'll be inspired to take the scenic route home in this fantastic sedan. The sculpted aerodynamic physique of our Limited has a commanding presence that exudes sophistication. The sleek designed exterior boasts alloy wheels, body colored door handles, and lightly tinted windows. Why purchase a used car from DRIVEN CARS CANADA: We make it easy, simple and painless. 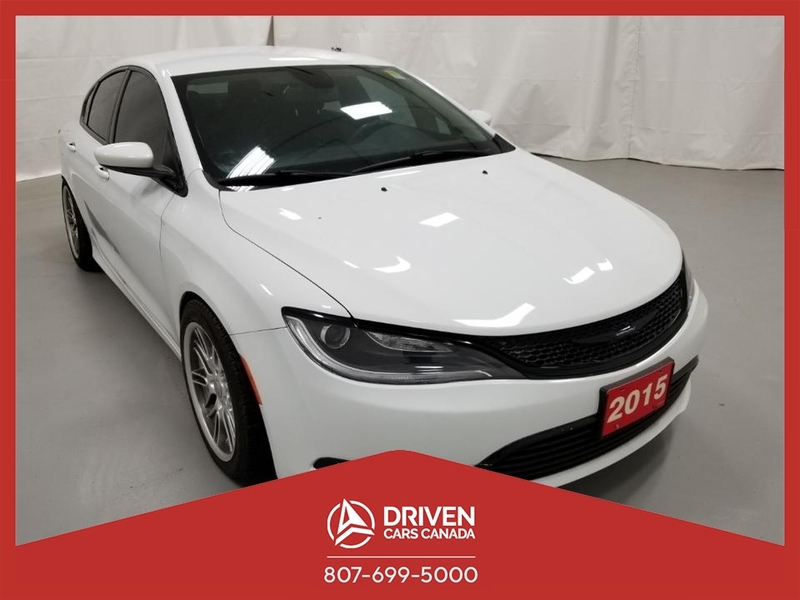 This 2015 Chrysler 200 Limited also comes with a 30 day/500km warranty covering any pre-existing repair.